When you are in the human resources department tasked to conduct interviews to the hundreds of applicants each day, it is never an easy job. You have to come up with strategies and steps to make the process easy and smooth. Plus, you have to check every job application and prepare your questions. What most recruiters do to quicken the hiring stage is to prepare an interview agenda. This allows them to properly facilitate the application. It becomes a part of their daily agenda and a part of the selection procedure. Let us discuss further what an interview agenda is. What Is an Interview Agenda? 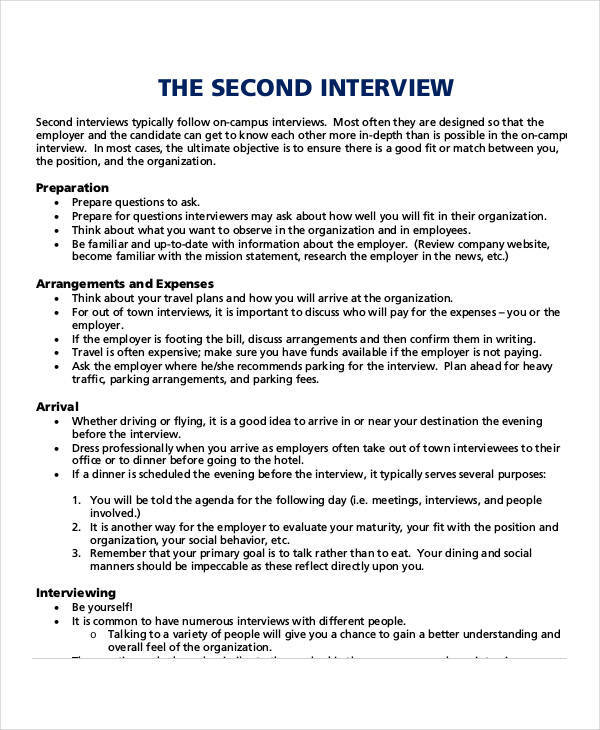 An interview agenda is a written document or form that outlines the necessary topics and steps to be used in a job interview. It serves as a guide for recruiters to easily facilitate the recruitment process and to make sure that the questions asked are aligned with the company requisites and standards. Just like a meeting agenda, an interview agenda serves as an effective instrument to properly handle and organize every job application. It makes it easier for the recruitment team to decide who to choose from among the candidates and makes the employment process hassle-free. Writing an interview agenda is almost the same as when you write a team agenda. You need to careful plan out the questions to ask. Here are the steps to make one. Set a Goal. The first step you need to take is setting a realizable smart goal. This will guide you through the course of your writing. It makes you come up with better ideas and topics. Create an Outline. 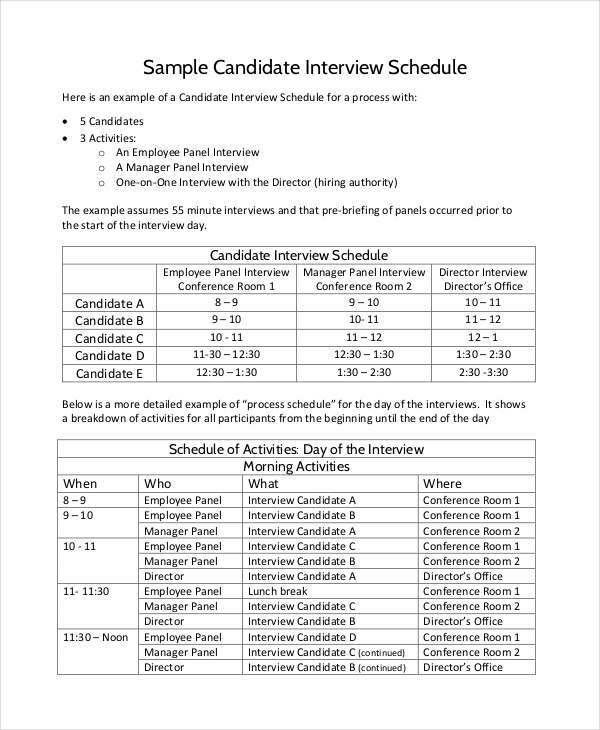 This pertains to the pattern of questions or topics to be used during the interview. You can also plan out a timeline as to how long each question should be answered. Write Your Data. 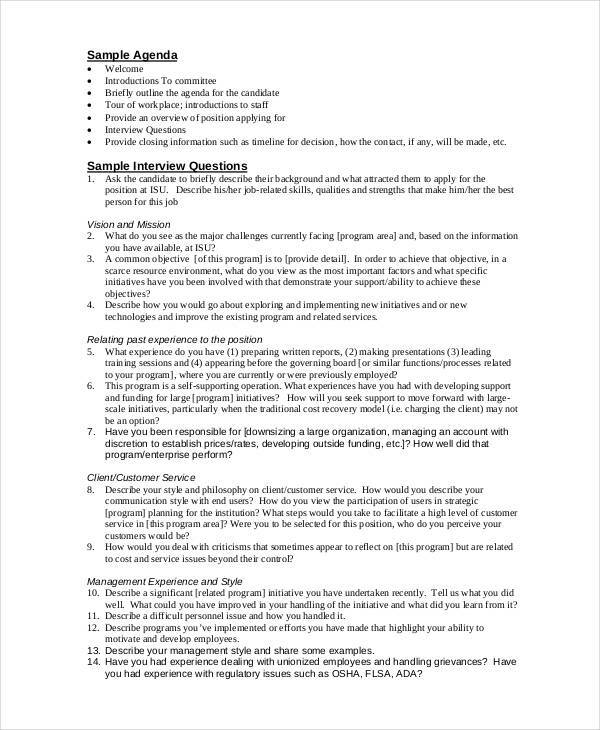 Once all the foundations have been set, you can then start to write the questions and topics for the interview. Start from the very basic questions, like “Tell me about yourself”, “What are your hobbies?” “What keeps you motivated?”, etc. Make sure that you know how to stir the reasoning ability of each applicant. Set Graphs and Tables. This is a common tool that most human resource specialist incorporate in their business agenda for interviews. This is used to rate the answers of each candidate and to compare them with others. To be more effective in your recruitment process, you need to be able to design a device that would make your candidate selection easy. However, an easy job is sometimes an unfruitful one. So you should be able to think thoroughly of a way to make your job fast and productive. Finding the right candidate is hard if you do not know the right technique. 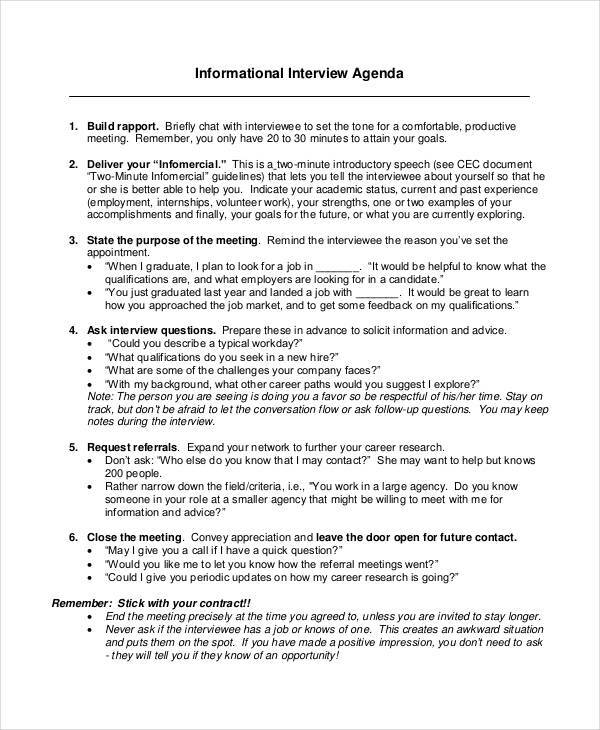 Here are some tips you might consider to make your interview agenda more effective. Study and understand what you are looking for. Review the job specifications and the qualities and writing skills you are looking for. This allows you to position your questions better. In addition to that, you can prepare secondary or follow up questions in case the first one does not work. 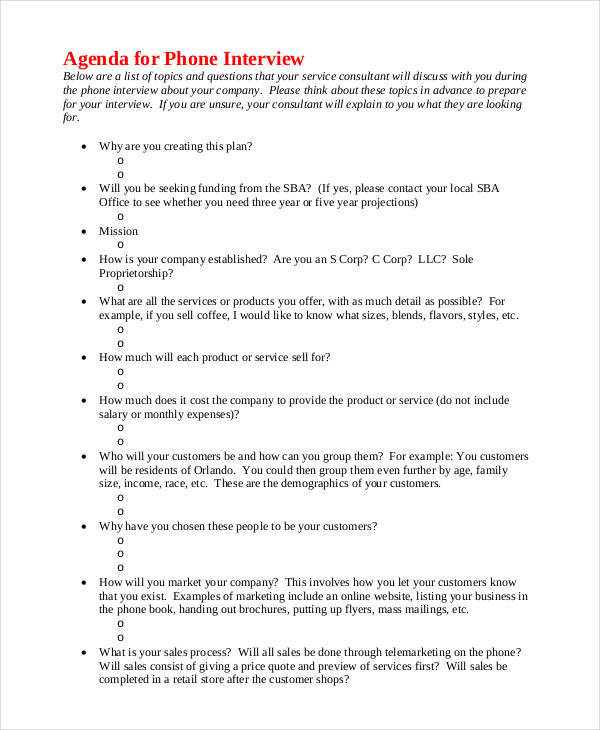 Put your questions in bullet points. 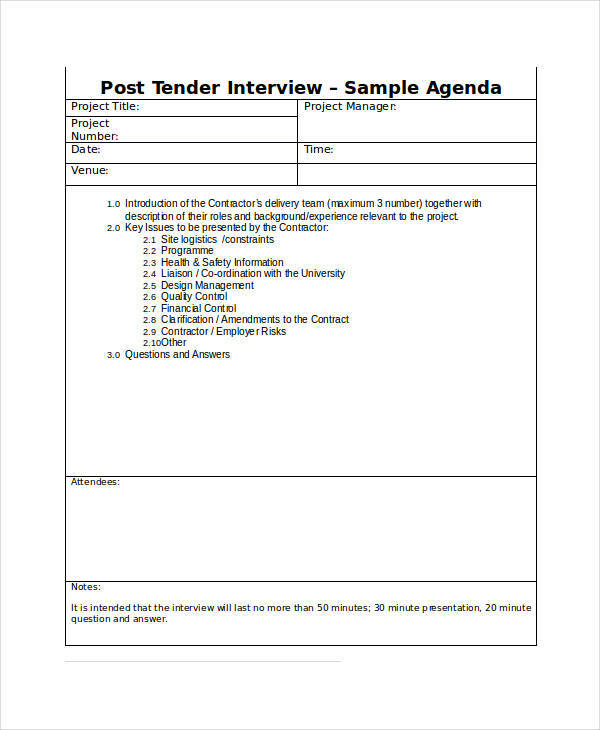 Aside from the fact that your interview agenda would look good and presentable, a bulleted question list allows you to easily cross out the questions you have asked and avoid repeating it. Know your objective. Remember that you are conducting the interview agenda for effective meeting so that your companies can acquire new and fresh minds for the progress of the organization as a whole. Do not prepare questions that could literally make the candidates fall from their seats. Be practical and at the same time on point. Do not place too much details on your agenda. When your paper is too crowded, you will find it hard to know which step should you take next or which questions to ask. One-liner questions are proven to be effective. However, make sure to add keywords that you think might help you in your follow-up questions. Leave a space to record each candidate’s score. At the last part of the page, writing a agenda down your assessment to make you easily identify who passed and who failed. Use positive language. It is an effective technique in an interview to use positive reinforcement. Applicants tend to be more open and confident in answering your questions. Observe proper timeline. Give each of your question enough time for the applicant to answer. On your agenda, set a time for each question. Ask more about their skills. Asking candidates about their personal skills and experiences provides them an opportunity to talk more. This has a psychological effect because people tend to edge others during interviews. It is also a chance for you to check the authenticity of their claims. Never use complicated words. You do not want to end up getting nothing from your interview, do you? Limit your words to a professional level yet still understandable. Avoid confronting statements. An interview is an opportunity for you to bring out the best from an applicant. Avoid any confrontations. Do not be bias. Treat all candidates with respect and with fairness. All agendas have their own purpose and unique importance according to the nature of their subjects. A team agenda serves as a tool to effectively handle a team gathering and a business meeting agenda allows a convention to come up with an effective and positive result. An interview agenda cannot be separated from this statement. It has its own unique importance too. An interview could not be organized well without the help of an agenda. 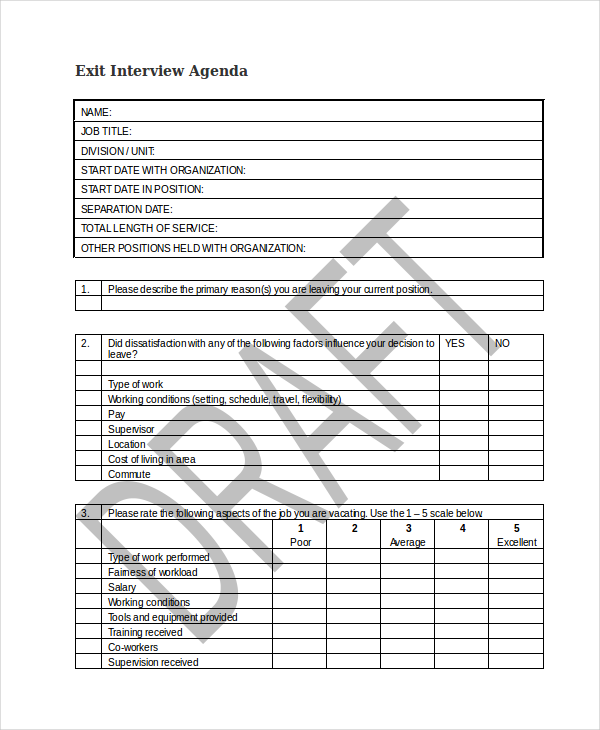 It allows a recruiter to prepare beforehand the questions to be asked to the applicants. In a more general sense, it makes candidate selection easy. With an interview meeting agenda, you can set proper guidelines and topics. Ideally, it is highly recommended as it is proven effective to guide the interview flow and easily facilitate the whole process.